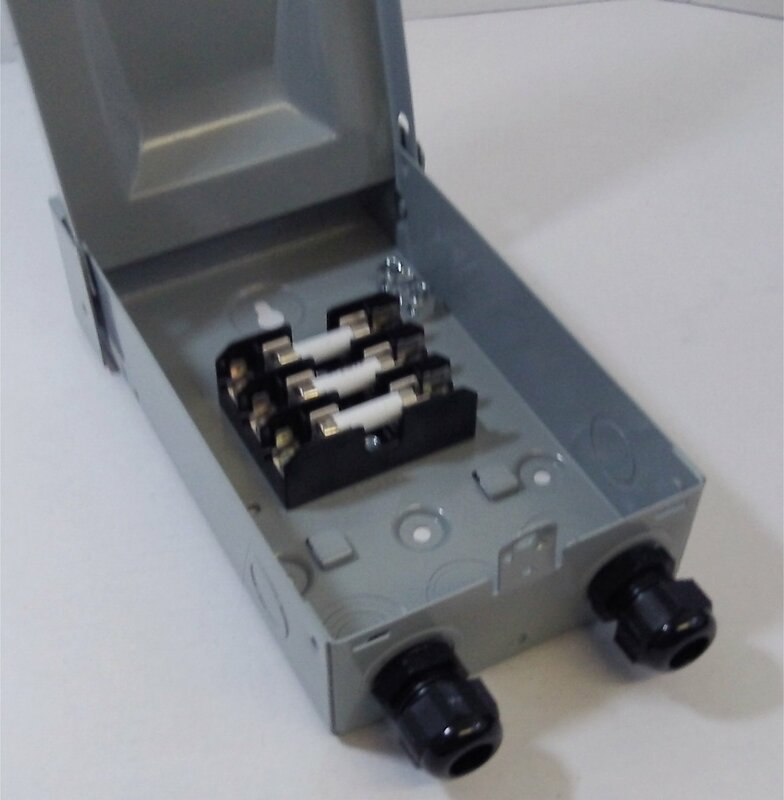 SSTB Series of Solar Transition Pass-through Boxes provide a quick, simple, and easy wiring transition between a micro-inverter trunk cable and standard stranded wire. All connections can be made using only a single #2 flathead screwdriver. This eliminates the need for any wire nuts or crimp type connectors. 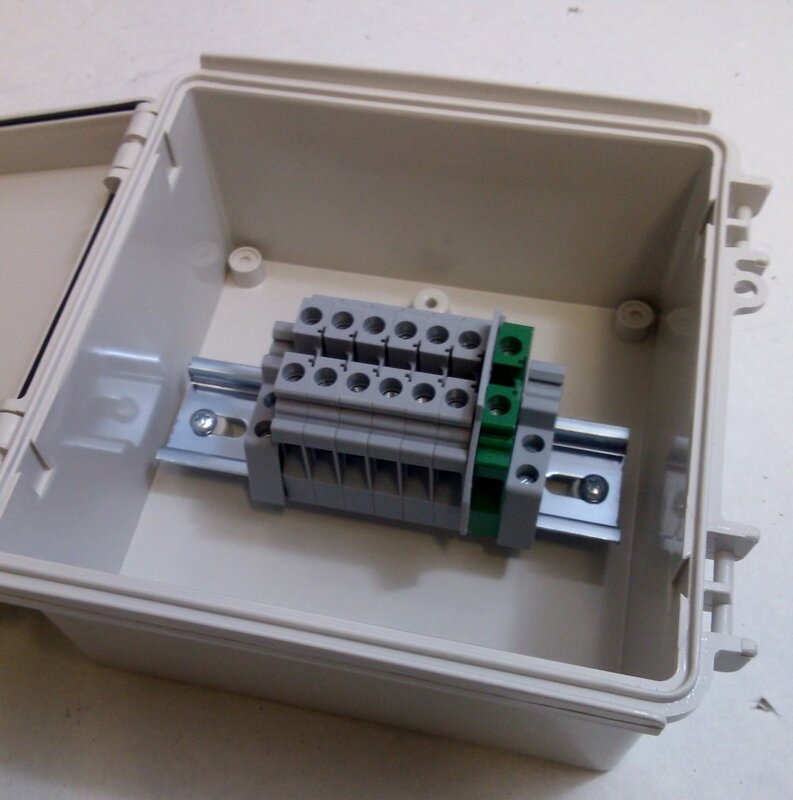 The included shorting bar assembles that are included enable combinations of 2 strings to be made, eliminating the need panel Y-connectors, or additional connector boxes. SPTB-3R Series Solar Power Pass Through Boxes are rugged units that feature a weatherproof, Painted Steel, UL listed NEMA 3R rated enclosure. Models are available in 2 and 3 string Positive side fused setup and are rated for 600 Vdc continuous duty at up to 30 Amps per string.